This sign is handcrafted out of re-purposed Florida Grown Cypress, stenciled and then finished with a low gloss laquer. 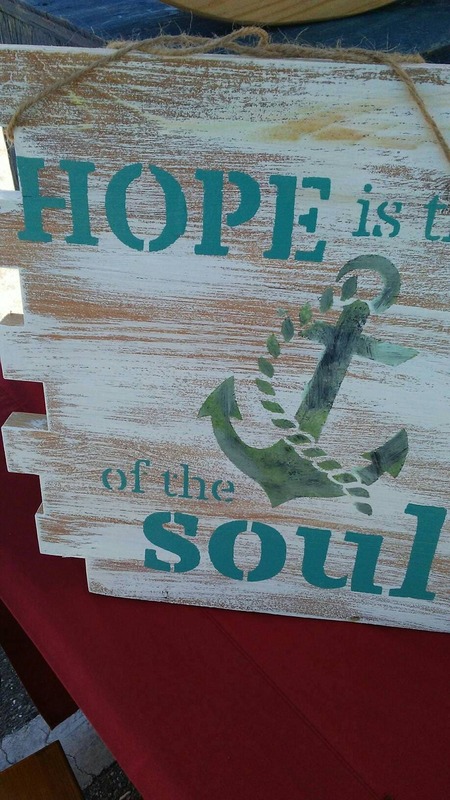 It measures approximately 14" High by 14" Wide and ready to put on your wall. 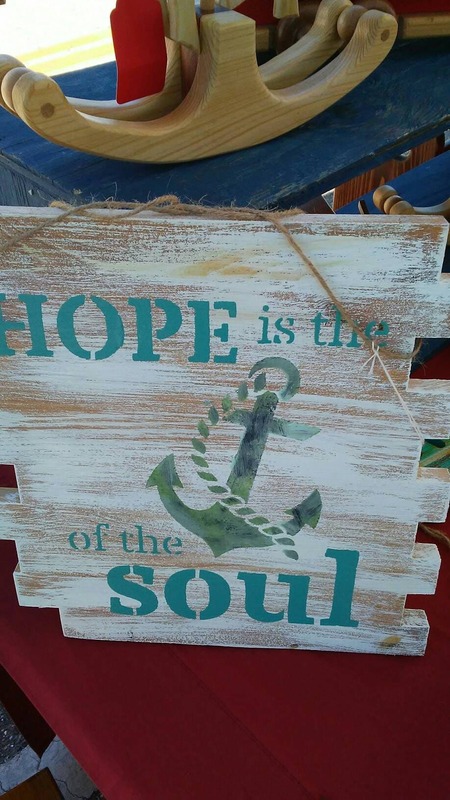 With "Hope" we can accomplish anything - and this sign will remind you to never give up and ALWAYS have Hope. It makes a great house warming present -or for anytime that's special for your loved one!